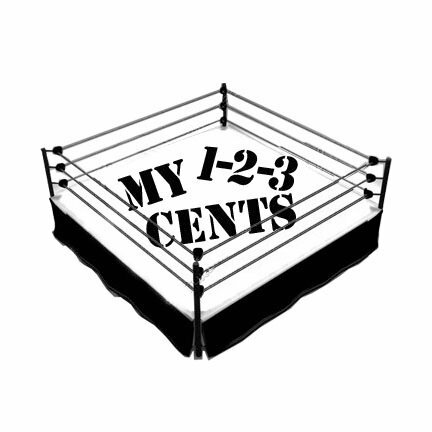 My 1-2-3 Cents : Is This the End? I’ve been trying to write this blog since Wednesday. It’s been a crazy past few days at work as we start wrapping up and preparing for a six-week hiatus, which means I’ve barely had time to breathe, much less do some writing. Then after work my social life has kicked in leading me to not being home until after midnight, so no time to write. I’m kind of glad it’s worked out that way because it’s given me time to think more about what I was going to write about and let me see fan reaction to the topic. After reading the Smackdown spoilers on Wednesday, I was annoyed to see Randy Orton won the World Title from Christian just two days after Christian won the title for the first time. Message boards and Twitter were blowing up with fan outrage. Longtime WWE fans were thrilled to see Christian finally winn the prestigious title and were hoping for a solid reign as champ. WWE apparently had other plans. The level of contempt for the title switch captivated my interest, not just because I agreed with what the fans were saying, but I was interested to see what would be the fallout come Friday night when the match aired on television. Given all the online words being thrown out there about how lame it was to have Orton win the title and how the WWE cut the legs out from Christian, I was expecting to go into any Smackdown thread on various message boards on Friday night/Saturday morning and see tumbleweeds blowing by (metaphorically of course) because surely all these people who spent three days complaining weren’t going to be watching the evil atrocity take place, right? Wrong. According to my un-scientific poll, it appears the same number of people who were seething with hatred toward WWE, vowing this was the straw which broke the camel’s back in terms of their being finally fed up with the current WWE product, were now saying the match was really good and could be the start to a great feud between Orton and Christian. This is part of the current problem with wrestling. Neither WWE nor Impact Wrestling is providing a good, compelling program, but for some reason fans keep watching. If ratings for the shows would start to drop, maybe then the powers that be would realize a change is needed. But as long as business stays steady, why would they change? My thoughts? Glad you asked. I didn’t watch the match, and I don’t intend to watch it. If it leads to a good feud and great matches over the next few months, great. When we were discussing the title switch during the week, I told Kevin in two weeks when my job is over and I’m on my six week hiatus, I was planning on taking a hiatus from television and the Internet as well. Part of the reasoning is because the local Borders is going out of business and I’ve gone crazy buying discounted books. I want to make time to read them in a timely manner. Another part of the reasoning is I’ve been wanting to do some serious inner soul searching and reflecting and feel television and Internet will hinder that process. I will be back in Illinois for two weeks during the hiatus as well and would rather spend time with family and friends instead of spending time in front of a monitor. Though Kevin and I will be attending an Impact Wrestling house show during that time, and hopefully might do some more youtube videos or a video chat as well. Also in the list of reasons for a break is simply, my passion for wrestling is gone. I should clarify and say my passion for WWE and Impact Wrestling is gone. You can read through the archives and see my frustrations with Impact Wrestling (formerly TNA, in case you didn’t know). As for WWE, I don’t like Randy Orton. Everything he does in the ring looks forced. He has less personality than a mannequin, and he’s been getting the Super-Cena treatment over the last 7-9 months. Then you have John Cena as champion on Raw. I don’t dislike Cena the way I dislike Orton. I think Cena can put on a good match and can be entertaining. I’m simply tired of seeing him as champion. With the two faces of the company being guys I don’t care to watch and the rest of the roster seems to yo-yo from week to week, why do I want to spend valuable time watching something I'm going to complain about after the show is over? I agree with Kevin’s posting from the other day when he talked about there being a lot of negativity in our writing lately. That was never our intent. When Kevin started this, and when I worked my way into co-blogging, we simply wanted to write about a sport we’ve been fans of for over 25 years each. Our hope was to provide intelligent commentary, not breaking news or behind the scenes gossip, regarding our hobby of choice. If I can’t write about wrestling without complaining all the time, then why write at all? There’s enough negativity and pointless bitching on the web without me needing to add to it. So, I think I need to stop watching WWE and Impact for a while. I’m sure I’ll keep up to date with what’s going on, I just spend 10 minutes reading recaps instead of two hours watching the shows. With all that said, I don’t want this to be my swan song blog. If and when I stop writing I want to go out on a positive note. Since I’ve done a lot of complaining lately, I want to write something positive. I may have lost my passion for WWE and Impact, but after watching the King of Trios tournament a couple weeks ago, my passion for Chikara was re-ignited. I hope to pen a multi part series about how Chikara not only grabbed my attention 6 years ago, but how watching Chikara makes me feel like a kid again. Look for that during the week. To all the loyal readers (and the non-loyal ones who happen to stumble upon this blog) I want to say thank you for reading. Kevin and I write because of a passion for wrestling, but without you we might as well as just kept sending emails back and forth. Continue to follow us on Twitter (@my123cents), Like us on Facebook and check out videos (like this gem about Broski of the Week) on YouTube. I've love reading your writing on this subject for some time now. Take your break, but I don't think you could ever drain out the wrestling blood no matter how bad it gets.